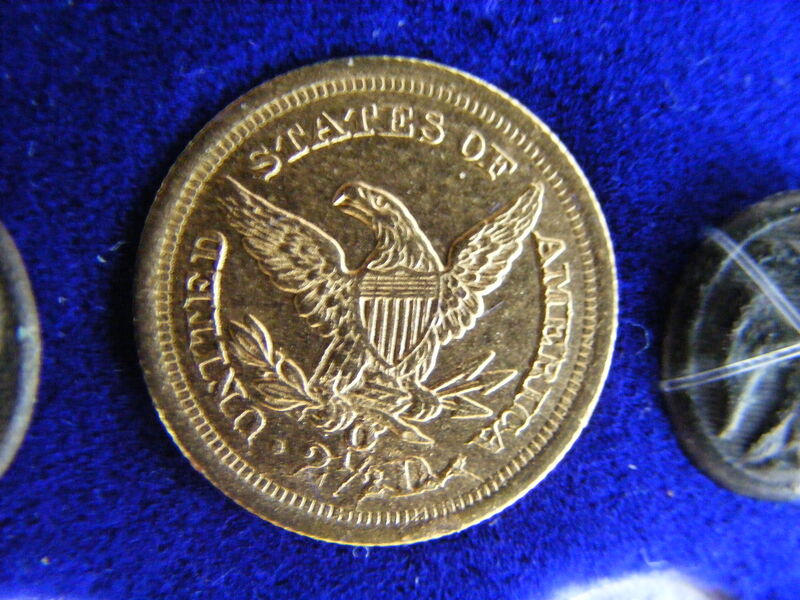 There are several things that can make a coin rare/valuable. 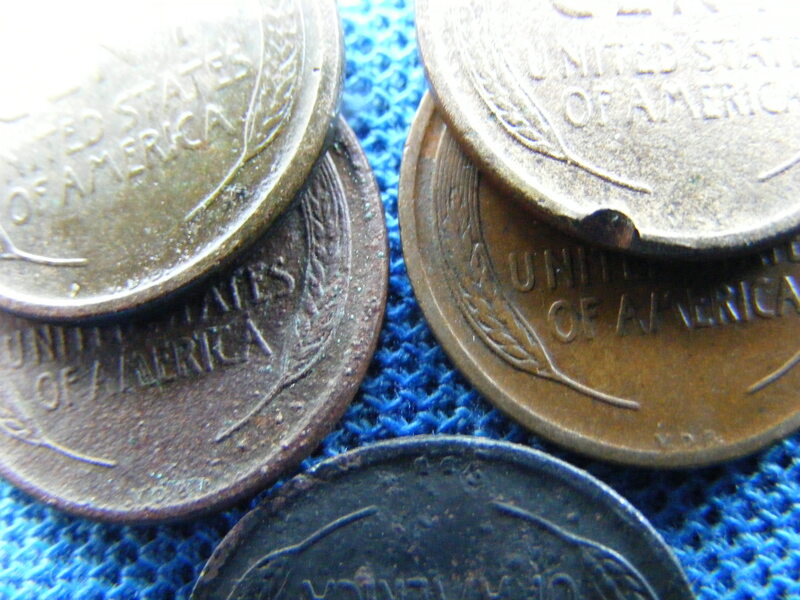 Can you identify 'why' all of the coins in the photos are high-dollar items? 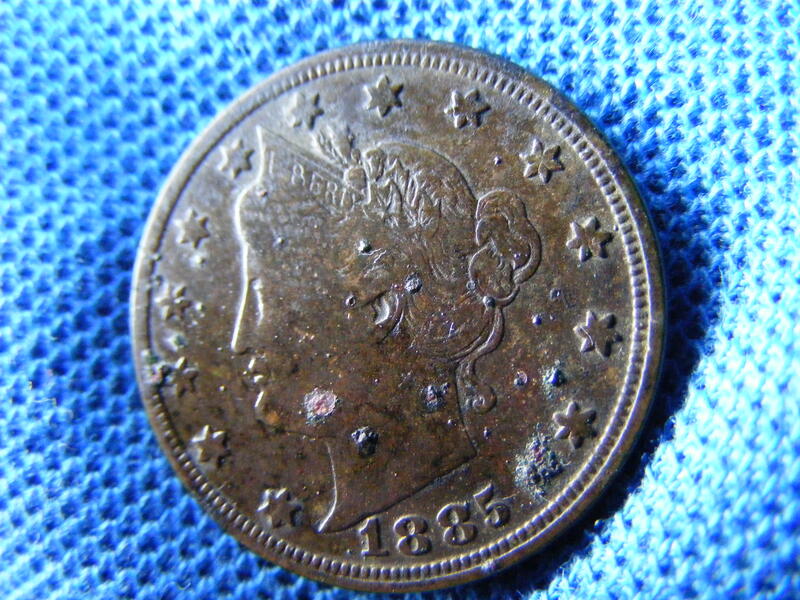 Pay attention to the finite details of these photos....... and look these specific coins up in the Red Book. 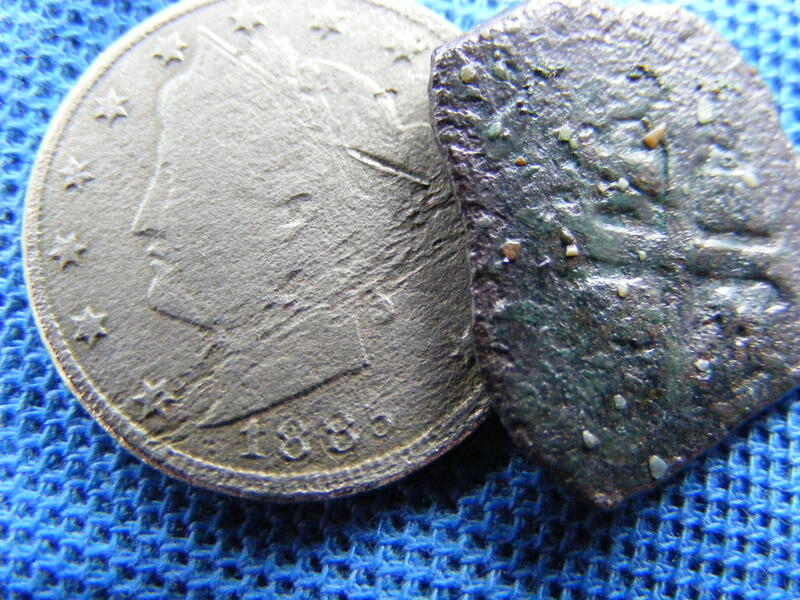 As you will see....... the sites you hunt...... really do not need to be very old.... in order to have a chance of finding not just coins...... but 'rare' coins. 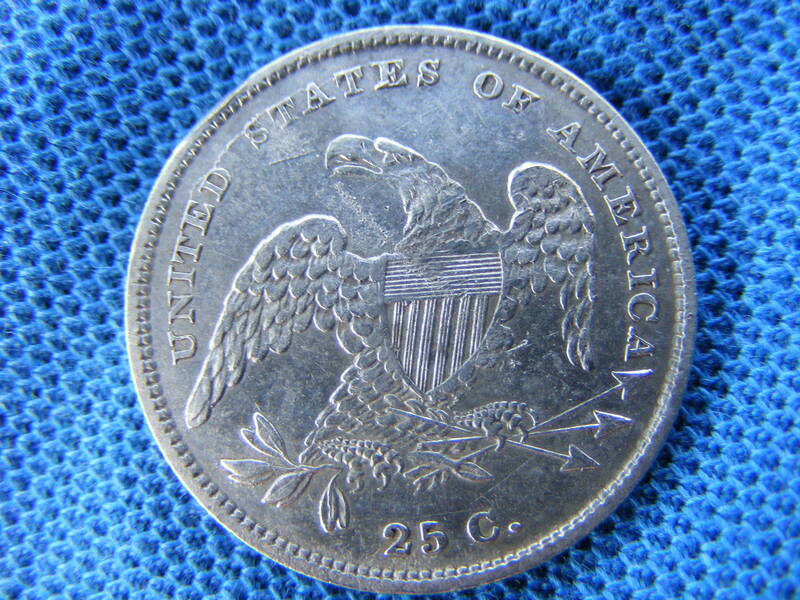 *Mint errors are nearly always collectible. 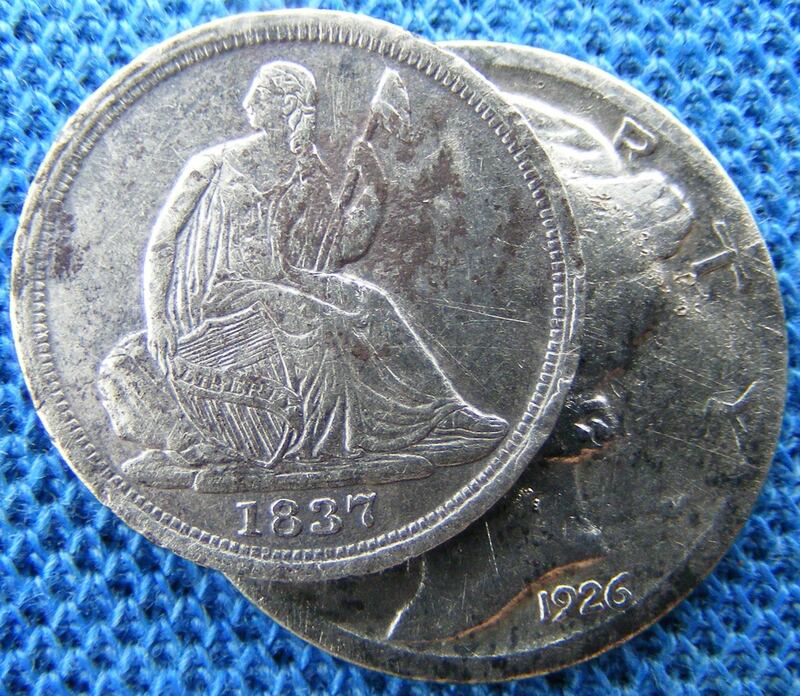 *Low mintage (low volume production) coins can have great value. 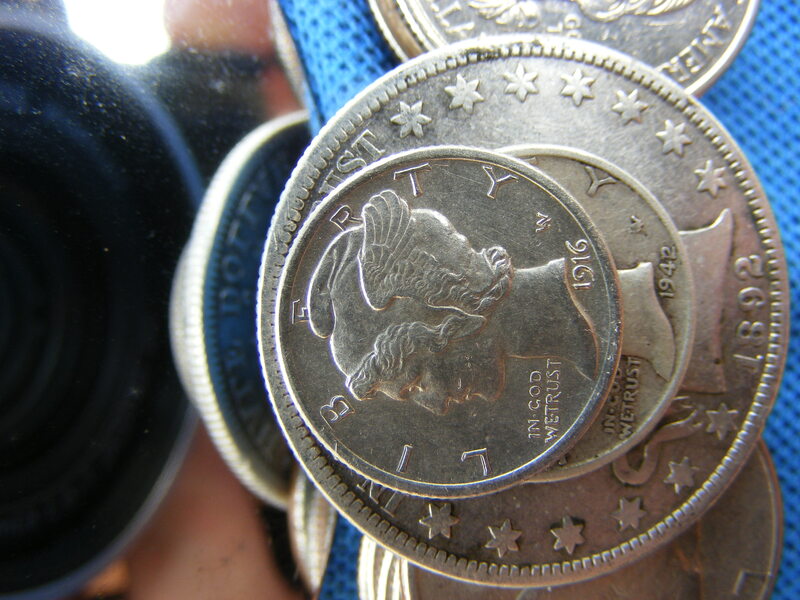 *High-mintage/high-volume coins can have great value if they are in exceptionally good condition (near 'uncirculated' condition). All of these coins were 'dug'. 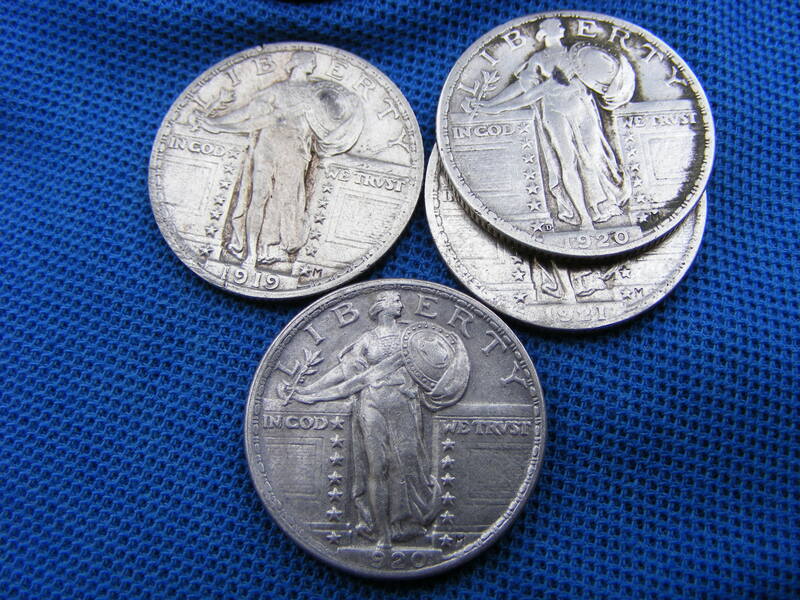 Probably one of the most important lessons here is...... these coins were in "circulation". 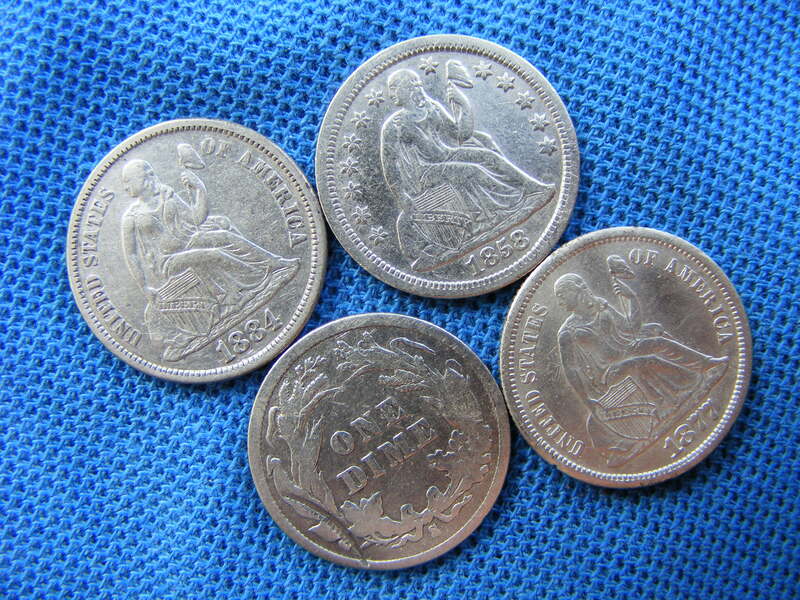 During the time when they were in circulation...... most folks could not afford to 'collect' them. 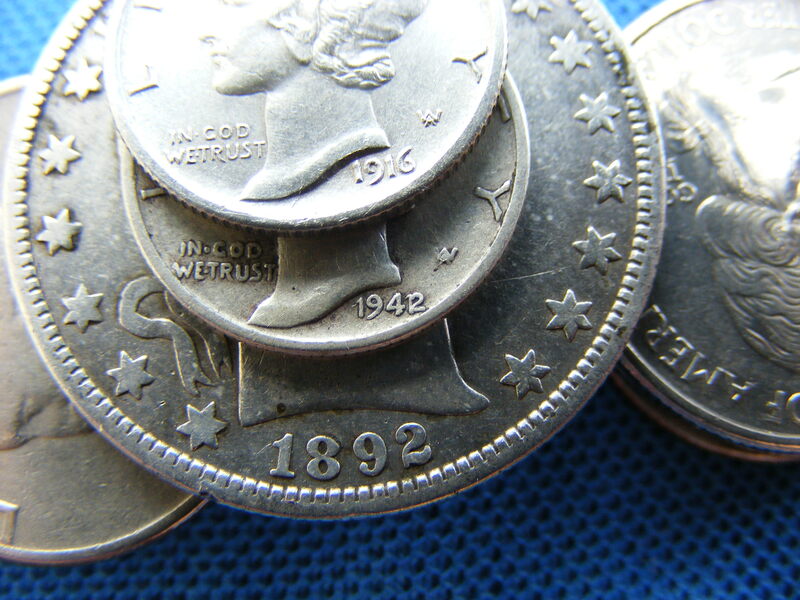 Coin collectors were few-and-far-in-between....... especially compared to today's number of coin collectors. 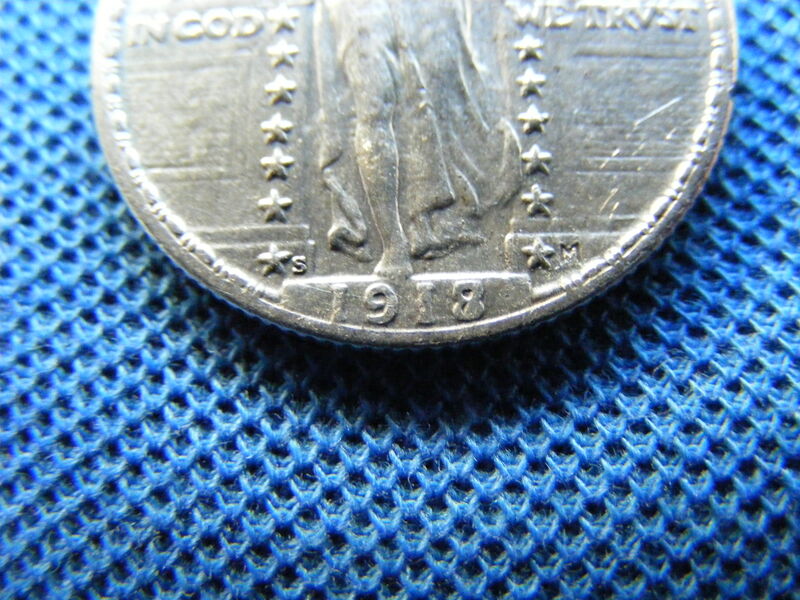 On the half dollar...... look at the mint mark 'type'.... in the mirror. Click image to enlarge to high resolution. Use browser 'Back' button to return to this webpage. 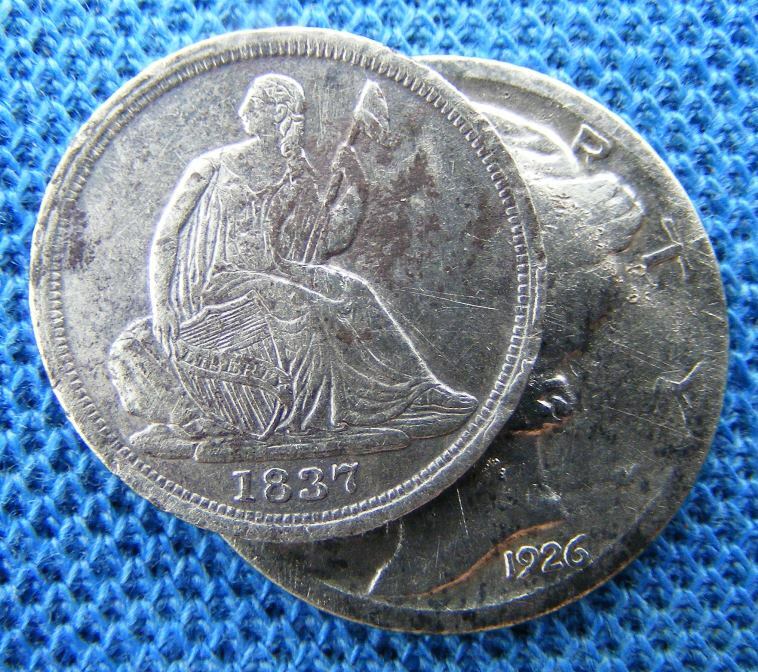 An almost-uncirculated, near-flawless 1837 Half Dime.